EU country foreign ministers joined today EU foreign policy chief Federica Mogherini and Commissioner for European Neighbourhood Policy and Enlargement Negotiations, Johannes Hahn, in a Informal Ministerial meeting with representatives of eight countries of the southern Mediterranean. The meeting was held at the Union for the Mediterranean headquarters in Barcelona, Spain. The Union for the Mediterranean is a partnership launched by former French President Sarkozy in 2008. 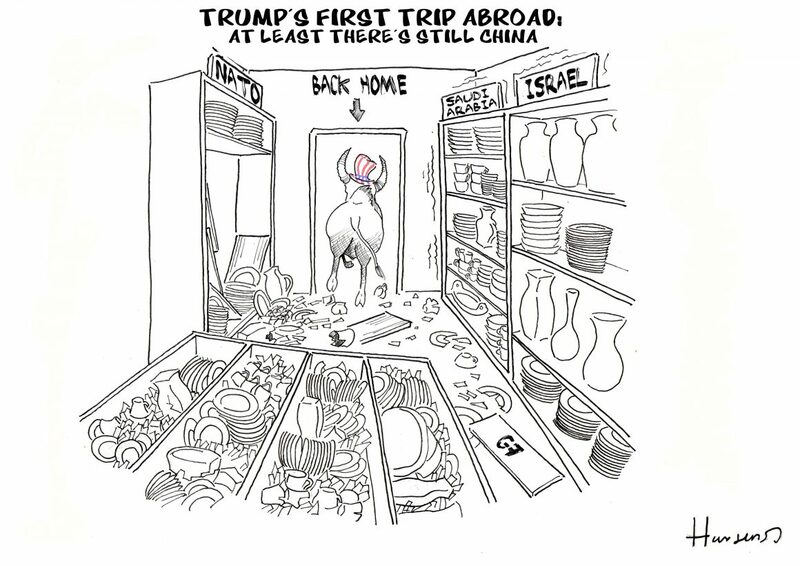 Its work has been hindered by diplomatic disputes about the Arab-Israeli conflict, with most Arab countries having relations with Israel blocked over its illegal occupation of Palestinian territories, but also by the Cyprus-Turkey and Western Sahara unresolved conflicts. The Union for the Mediterranean and the European Neighbourhood Policy (ENP) work in parallel to strengthen inter-regional cooperation, with the Union being funded through ENP funding lines. 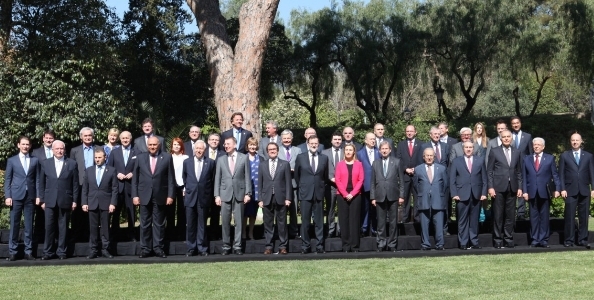 Despite the relatively low profile of the Union for the Mediterranean so far, Spanish Foreign Minister, Jose Manuel Garcia Margallo, the Latvian Foreign Minister Edgars Rinkēvičs, and EU foreign policy chief Federica Mogherini, who co-organised the meeting, attracted a high level of participation. Representatives of Morocco, Algeria, Tunisia, Egypt, Lebanon, Israel, Palestine and Jordan took part in the meeting and declared their support for fighting terrorism and curbing irregular migration, two top priorities of the EU’s collaboration with its neighbours south of the Mediterranean Sea. The meeting was part of a series of consultations that the EU initiated with ENP countries to review its strategy of collaborations. In fact, the revision of the ENP is one of President Juncker’s main goals for this Commission’s mandate. It is hoped that a new ENP will benefit from a more flexible European approach, will lead to improved political and security cooperation, and will strengthen trade and social development. The meeting in Barcelona comes a few days after the Spanish authorities arrested 11 suspected terrorists for planning to attack different cities in Spain and just hours after another boat leaving Libya with irregular African migrants sank in the Mediterranean killing over a dozen. Migration and terrorism have thus been the focus of this Informal Ministerial meeting on Euro-Mediterranean Partnership and the overall ENP review for a good reason. I accept the website’s terms and conditions. This website has been created by KATOIKOS to promote their products and services. Registration details: Registered in the Commercial Register of Madrid. The various elements of this page, and website as a whole, are protected by Spanish legislation on intellectual and industrial property. The trademarks, trade names or logos appearing on this website are the property of the company, or, where appropriate, of third parties, and are protected by Trademarks Law, and of which KATOIKOS holds the legitimate license. The information provided may not be used for commercial or public purposes, or modified. If the user downloads materials for personal and non-commercial use, warnings shall be kept about copyright and trademarks. To download and use the company logo that appears on the website, prior authorization is required. Any unauthorised use of the images may violate copyright laws, trademark laws, the laws of privacy and publicity, and communications regulations and statutes. KATOIKOS assumes no liability for damages you may suffer when browsing the web or in the use of computer applications that are part of it. Neither are warranties given as to the correction of malfunctions or updating of content. (b) to sublicense the foregoing rights, through multiple tiers, to the maximum extent permitted by applicable law. The foregoing licenses shall survive any termination of your use of the site, as further described below. For all of the content you share through the site, you represent and warrant that you have all rights necessary for you to grant these licenses, and that such content, and your provision or creation thereof through the site, complies with all applicable laws, rules, and regulations and does not infringe or otherwise violate the copyright, trademark, trade secret, privacy or other intellectual property or other rights of any third party, and is furthermore free from viruses and other malware. 1. any unlawful, threatening, defamatory, racist, obscene, scandalous, deceptive, false, fraudulent, inflammatory or profane material or any material that could constitute or encourage conduct that would be considered a criminal offence, give rise to civil liability, or otherwise violate any law. 4. Any material non-public information about a person or a company without the proper authorization to do so. 3. Access or use this website through any technology or means other than those expressly designated by us. 5. Except as expressly permitted by applicable law, modify, adapt, translate, reverse engineer, decompile or disassemble any portion of this website. 6. Remove any copyright, trademark or other proprietary rights notice from this website. 9. Use any robot, spider, site search/retrieval application or other manual or automatic device to retrieve, index, “scrape,” “data mine” or in any way reproduce or circumvent the navigational structure or presentation of this website, without our express prior written consent. Kaotikos reserves the right to remove any messages or statements or cancel any links. This site may include hyperlinks to other web sites that are not owned or controlled by Katoikos. Katoikos has no control over, and assumes no responsibility for, the content, privacy policies, security or practices of any third party websites. Katoikos reserves the right to terminate your access to this website at any time if you do not comply with these Terms and Conditions or you infringe Kaotikos’ rights in the content provided on this website. These Terms and Conditions are governed by and construed in accordance with the laws of Spain, without regard to its choice of law provisions. You agree to the exclusive jurisdiction by the courts of Spain. Katoikos reserves the right to make changes to the Terms and Conditions from time to time. You acknowledge and agree that your continued access to or use of this website will constitute your acceptance of such changes. Kaotikos takes the protection of your personal data very seriously and collects, processes and uses your data only in accordance with the standards of the legal data protection regulations. Data is collected, processed and used with technologyes of the provider web trends for marketing and optimisation purposes and also for sending news and information you may be interested in by any electronic services, such as email or SMS. Our website user’s database is registered at the Spanish Agency of Data Protection. You have the rights of access, rectification, deletion and opposition, regulated in articles 14 to 16 of the LOPD. Or send an email to info@katoikos.eu. Your ID will be requested for these issues. This page contains information on what ‘cookies’ are, the cookies used by the Kaotikos’ website and how to switch cookies off in your browser. A visit to a page on the Kaotikos’s website may generate the following type of cookies: Anonymous analytics cookies. This website uses Google Analytics, a web analytics service provided by Google, Inc., a Delaware company whose main office is at 1600 Amphitheatre Parkway, Mountain View (California), CA 94043, USA (“Google”). Google Analytics uses “cookies”, which are text files placed on your computer, to help the website analyze how users use the site. The information generated by the cookie about your use of the website (including your IP address) will be transmitted to and stored by Google on servers in the United States. Google will use this information on our behalf in order to track your use of the website, compiling reports on website activity and providing other services relating to website activity and internet usage. Google may also transfer this information to third parties where required to do so by law, or where such third parties process the information on Google’s behalf. Google will not associate your IP address with any other data held by Google. It is usually possible to stop your browser accepting cookies, or to stop it accepting cookies from a particular website. All modern browsers allow you to change your cookie settings. You can usually find these settings in the ‘options’ or ‘preferences’ menu of your browser. To understand these settings, the following links may be helpful, or you can use the ‘Help’ option in your browser for more details. Building walls and sacrificing our freedoms will not make us safer. 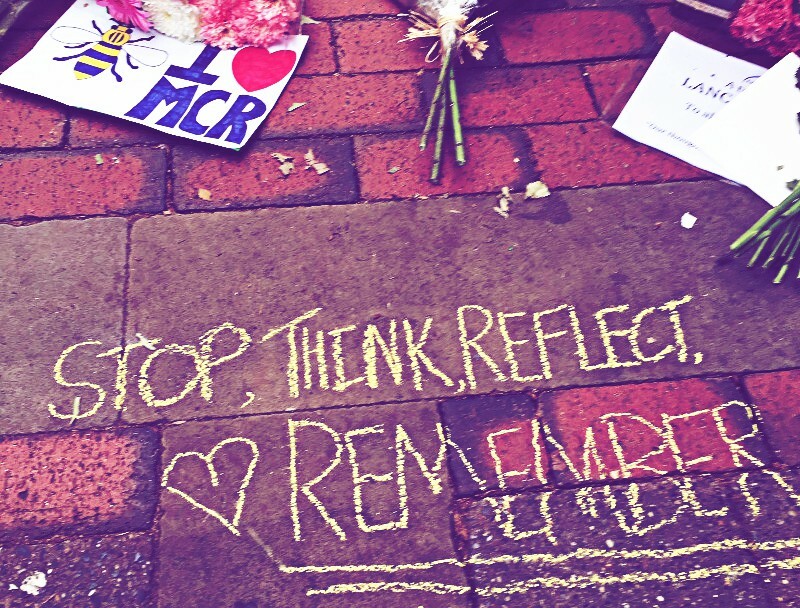 Europe’s response to terrorism should focus on cooperation, coordination and inclusion.